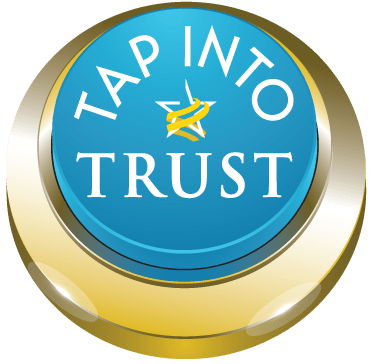 Trust Across America has been writing about Wells Fargo and making public suggestions to leadership on how to fix the Bank’s low trust since 2016, apparently to no avail. The recent “trust building” communications “horse and pony” show was predictably a huge and expensive fail. Anyone with even a basic understanding of organizational trust knows that trust is internal and must be built from the inside out, not through a PR campaign. So now the sudden resignation of the current CEO comes as no surprise to us, nor does the appointment of the “interim” CEO who “by chance” happens to be a lawyer. Over the weekend we asked members of our cross functional Trust Council to weigh in on the actions required to right what appears to be a sinking ship. We appreciate the thoughts of our Council members who took the time to weigh in. Acknowledge trust as a hard asset: Do not assume that trust is a “soft skill” and do not attempt a fix via exclusive input from legal and compliance. Form a cross-silo team to attack low trust with the support of the “right” Board members, possibly necessitating some “reshuffling” at the highest level. In other words, clean house. Make trust building the first priority: A foundation of trust must be built before culture can be fixed. Be accountable: Embrace responsibility and accountability and avoid the deadly Watergate sin of tip-toeing up to the line but not crossing it, perpetuating the sense of cover-up. You’ve got to own it—and then some. Measure what matters: Assess the current level of stakeholder trust and use this baseline to begin attacking the weaknesses. What can be measured can be managed. Practice and reinforce values: Saying or printing them is mere cant. You’ve got to propagandize them, talk about them in application to specific instances, hold leaders accountable for a quota of such applications. Model humility: Place truth-telling ahead of personal or professional gain. Be transparent: Reject hidden agendas and be transparent wherever and whenever possible. Hire and fire: Nothing builds trust faster than firing and hiring people. Hire/fire/promote on visible demonstrations of the bank’s values. Cull out the middle managers who still think they can get away with hiding unethical behaviors. Erase fear: Drive out fear and ensure every voice is heard and every trust breach is fully investigated. “The absence of fear is the incubator of trust.” Reward moral character and reinforce candor. Track performance: Define and scorecard performance against both values and value. Perhaps the most difficult question came yesterday when someone asked me “Who would want the job of CEO?” That’s a tough one. Hiring another banker may not even be the best solution as finance is not generally considered an industry to exhibit high trust behavior. Regardless, the hope is that whoever the brave soul is who steps in to take the position begins their tenure by first acknowledging that trust is internal and must be elevated from the inside out. Only then can the required culture work begin. PS- CNN just (attempted to) weigh in on how the bank can end the crisis. They may want to go back to the drawing board and craft a followup article.